we're always there to help. special Events, speaking engagements and more. Videography is a specific animal in and of itself. It's not an all encompassing style of production but is more specific to event based coverage. It can contain interviews, or it can just be b-roll style coverage like a wedding or a party video. But the main difference between this kind of production and the others is that, you typically cannot influence the story or message or actions in place and instead are there to capture it as it happens and potentially pull the story out in post production. That isn't to say you shouldn't have a plan, you absolutely should, but it does mean that the event isn't happening for the purpose of the video, so there will be lots of elements that you cannot control and must adjust to. The trick to this kind of video and one of TerryLeahyFilms main tenants is that we treat every person, room, and circumstance with respect, and do our best to be a fly on the wall when appropriate. As a videographer, you should consider yourself part of the event team and as such remember that you are there in service of the event NOT just your video. This is a big one and probably one of the main reasons to use this style of coverage in your business. We use videography in times that we know we want coverage of a big event that won't come around often but is important to the company. During a product launch, not only will the unveiling of your product be an exciting moment to capture, but the reactions of the guests to your product will also be a key consumer insight and help to inspire a feeling of excitement. You can also use this opportunity to grab some candid interviews on the fly to help reinforce this message. Is your CEO or President giving a big press conference or speaking to a school or charity? Send a videographer to the event to get some coverage so that you can broadcast the good work your company does as well as to show the speech in it's entirety hosted on your website for those who wish to view it. These are key moments of showing authority which help bolster the image of both the company and speaker. 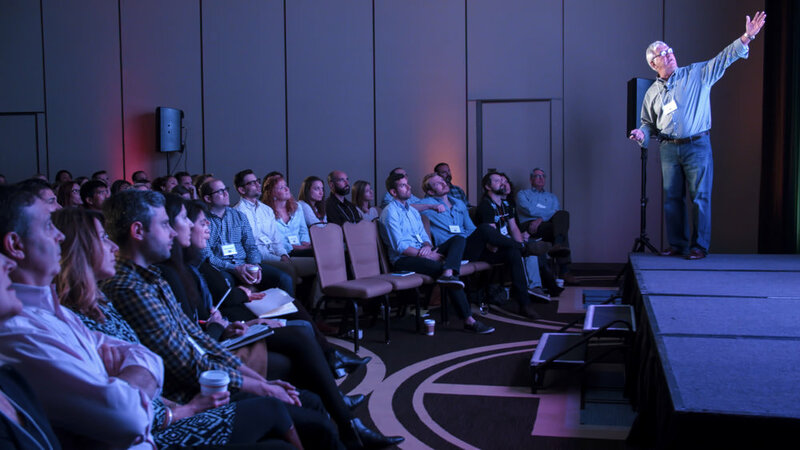 One of the best reasons for using videography is to capture your people at your companies annual meeting or conference that are from different areas of the country. You can do interviews or just get footage of people who aren't typically in the same area at their annual meet up and take advantage of the event. This can later be used to show the size of a typically displaced team or used as an HR video for new hires to show how much fun it is to work at your company. Let me be clear, I believe that event videographers have helped push creativity and this field to new heights with the work they have done, and I have many great friends in this field. However, the idea that event videography is always the best form of marketing and should be a part of every event is an idea I personally take issue with. As the owner of a marketing based video production company I obviously believe that video is a superior marketing medium to most others, but for most companies there is a finite budget in place to use video. I want to ensure those marketing dollars go to the BEST form of video content to help your company grow which will be different for every company out there and likely IS NOT event based. But when you are working with somebody who exclusively does events, they may try and convince you otherwise to make the sale. Be smart with your marketing budget and stick to what services the overall strategy first and then decide if you want to supplement with videography based assets after.